Just think of the successes possible with this team when McDavid returns. Hall and Draisaitl are rolling, and McDavid will bring offense from another line, if Eberle and Nuge can get going consistently this Oilers team might be the most offensively potent team since the 80’s. Are the Oilers really going to make the playoffs this season? I’m going to say no. For to long I’ve gotten my hopes up early thinking this would be the time the Oilers return to the playoffs, nope, okay maybe next season, nope, okay and on and on it’s been for the last 9 seasons. I’m not going to get my hopes up just yet. I was in a conversation with some friends earlier about this subject and I mentioned that this season is enjoyable but I feel like it’s only a matter of time until the wheels fall of. Do you remember the Lowered Expectations skit that was on Mad TV? It’s a lot like that. We’ve been down for so long that we’ve lowered our expectations to a point where any semblance of success becomes foreign and we’ve come to expect mediocrity. Because of this I won’t be picking the Oilers to make the playoffs until the year after they actually make the play offs. This all being said, the Oilers are playing better hockey and are within sight of a playoff spot today. That is improvement and that is all I’ve asked for this season. Keep improving and maybe, just maybe our expectations can get rosier and we can start seriously thinking about the post season. 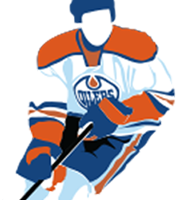 I’d like to thank the fine folks at Oilerhockey.com for asking me to write here from time to time. I’ll be posting the odd article here on this site, but you can find me and a host of other great writers over at the Oilers Rig.